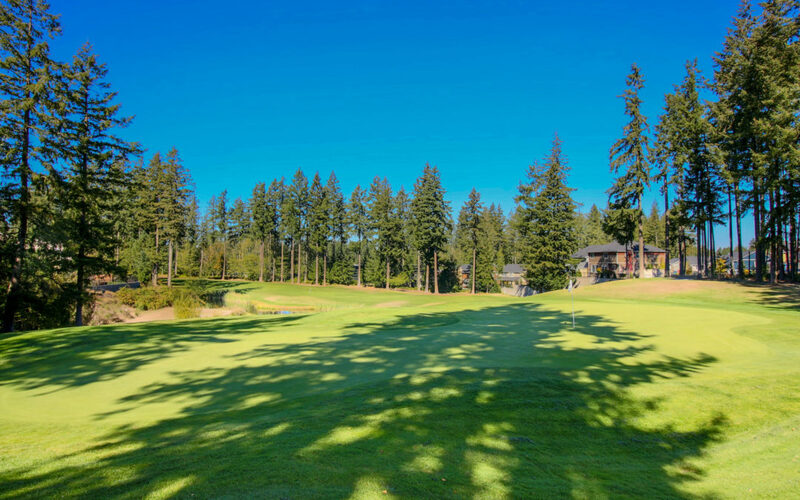 For the Love of Golf | Meridian Campus in Lacey WA | City Realty, Inc.
Nestled in with two public, championship golf courses and the Nisqually National Wildlife Refuge the greenery abounds at Meridian Campus. Residents often comment on the peaceful feeling they get in comparison to other areas that they considered. The golfers could not be more satisfied. These courses are stunning. There are 36 challenging holes between The Links at Hawks Prairie and The Woodlands. Views from The Links are amazing of Mt. Rainier and Puget Sound, while Woodlands suitably surrounds players in lush wooded beauty. The Golf Club at Hawks Prairie makes it easy for you to play both of these spectacular courses within minutes from your home, if you choose to live at Meridian Campus.